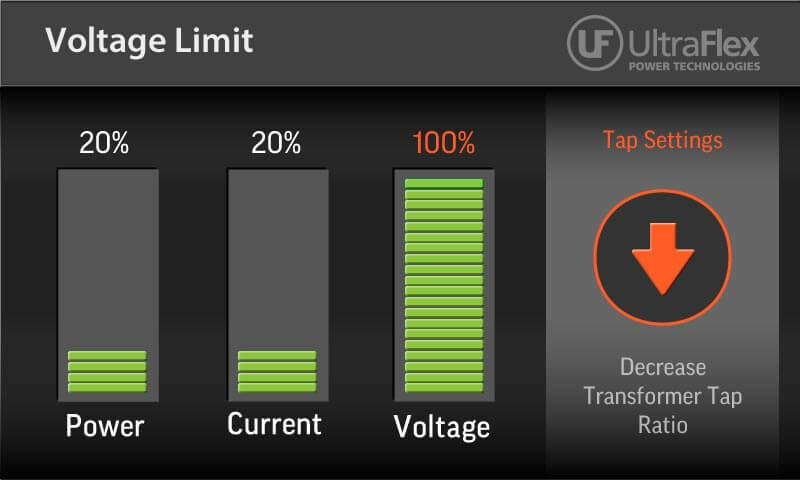 Tuning an Ultraflex Power Technologies induction heating system is an easy process once you understand what you are looking for. When the system is optimally configured, you will see voltage and current with output in the middle of the meter readings. If instead you see voltage saturating the meter, you need to decrease the transformer ratio. 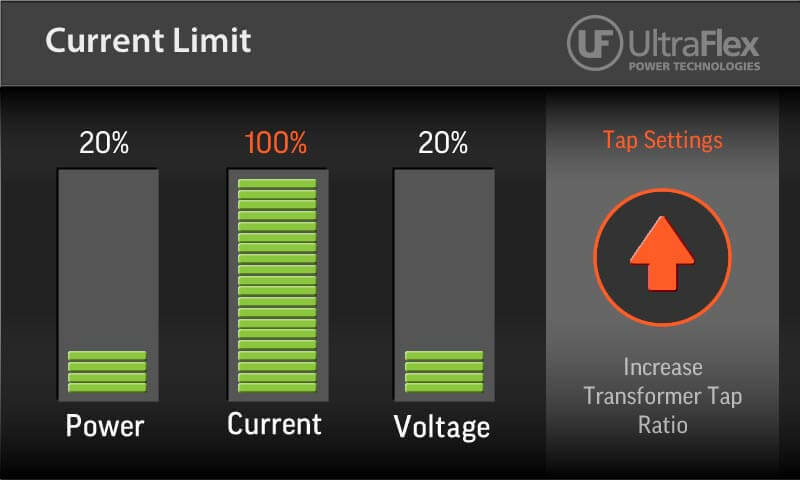 Likewise, if the current (Amp) is saturating its meter, you need to increase the transformer ratio. 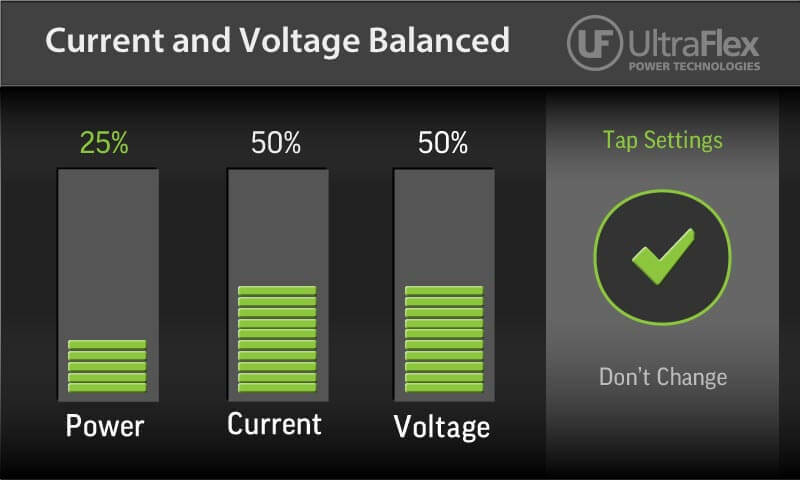 Keep adjusting the tap ratios until you see that the current and voltage are balanced.